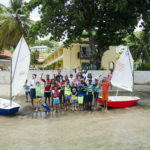 Youth sailing schools for the Caribbean and abroad. 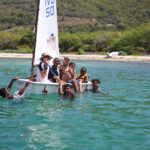 Last Friday we completed another sailing camp on Jost Van Dyke in collaboration with the Jost Van Dyke Preservation Society (JVDPS) and Foxy’s Taboo. From Monday through Friday, we worked with over 15 kids teaching beginner sailing in optimists, tai chi, and other ocean skills. What started as sailing instruction 101 turned into some quite high level sailing training by the middle of the week. 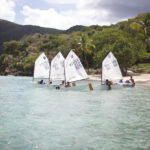 The speed in which these young Jost Van Dyke locals picked up sailing was absolutely astonishing to all of us involved. They have no fear, they love to push each other, and they are without any doubt the epitome of “water people”. 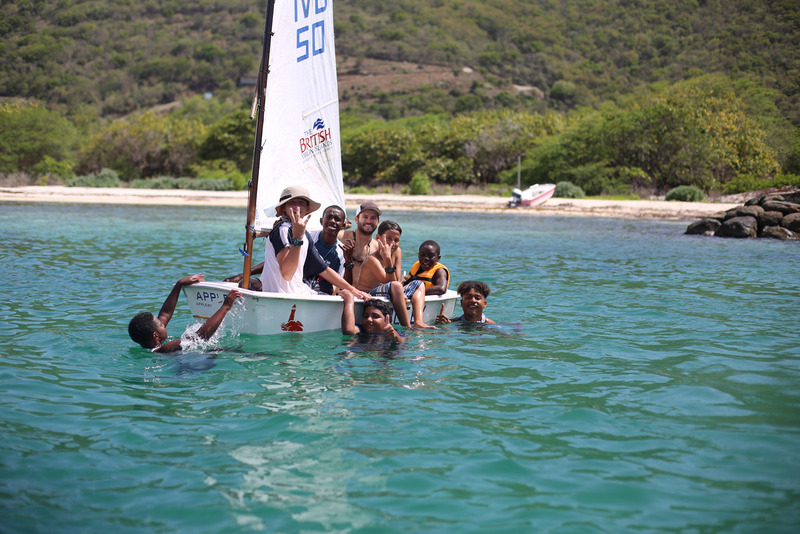 By Wednesday of the camp, 4 of the campers sailed by themselves in an opti from the East end of Jost all the way upwind to Sandy Spit- keep in mind, 3 of these 4 sailors just started sailing for their first time that Monday! 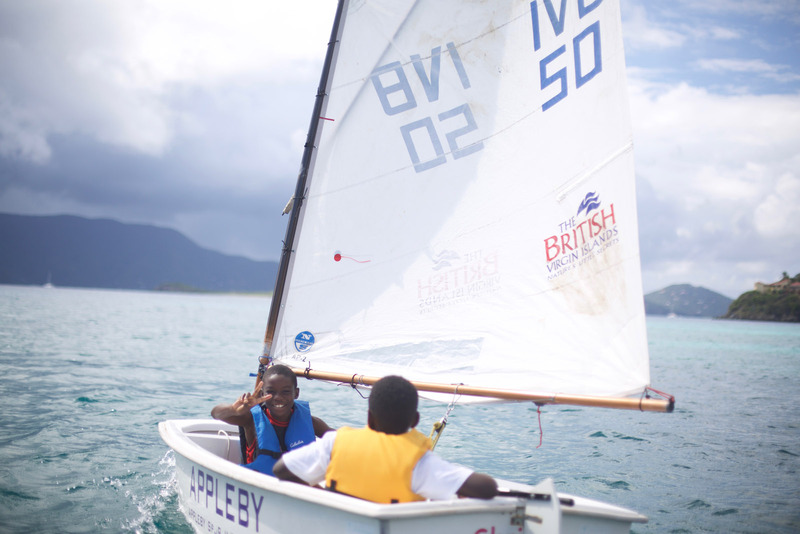 From 6 year old David, who was steering both the laser and optimist with ease by the end of the camp, to Mark holding an angle hard onto the wind on his third day ever sailing- there is certainly a calling for these young rockstars on sailboats. 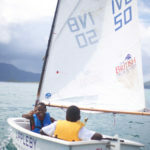 Favorite moment of the camp: Throughout the camp there was a group of four older sailors (between 11 and 13 years old) who once they learned the sailing basics on day 1, they couldn’t get enough time on the water- they would be sailing before we even arrived and again most days post-camp. They were the heroes and role models to many of the younger sailors for sure. 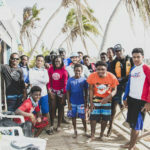 While there were moments with this group- like sailing to Sandy Spit and doing Tai Chi on the paradisiacal island, or watching them sail downwind with the sun setting between their eased sails- that were absolutely priceless, there was a moment in the last hour of camp on the last day that really takes the cake. 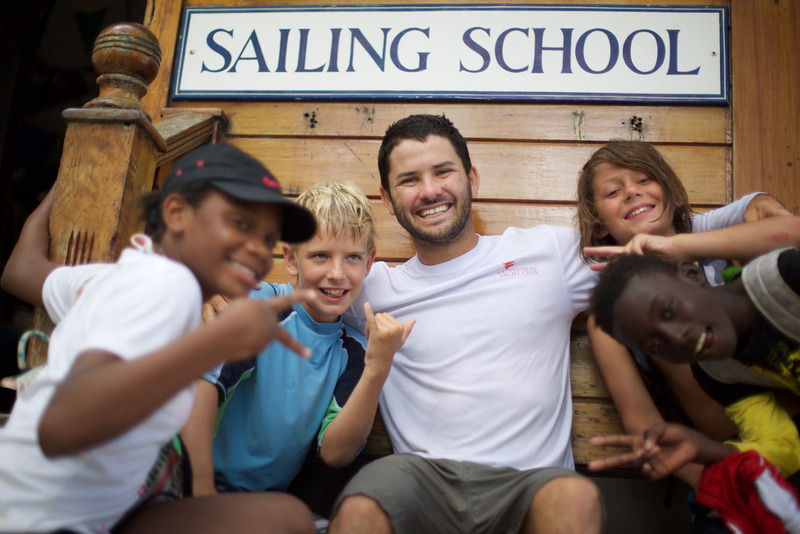 Jahvin, one of the sailors in the younger group, had been watching the older group of 4 with excitement all week. 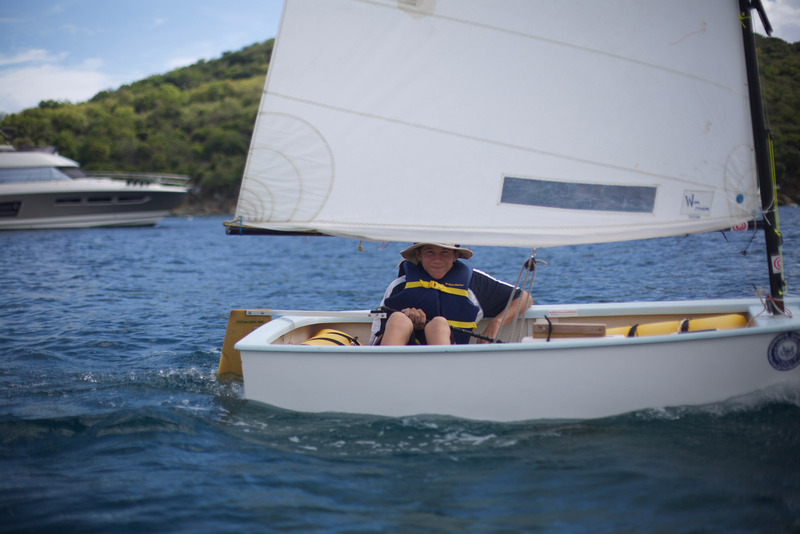 At first he sat in the front of the opti while one of them sailed him around (see the first pic below) and let him drive at times. 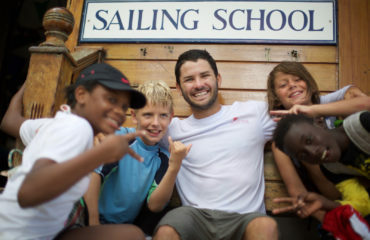 After that session, all he could talk about was how much he wanted to sail completely on his own that afternoon (like the older kids did). 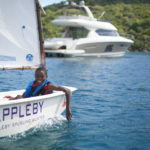 So, after we packed away all but one of the boats, it was Jahvin’s turn to sail. 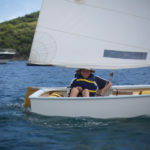 He practiced tacking, steering to different angles, trimming his sail and completely aced all of it- all the while I sat on the dock watching. Of course this was great in itself, yet what really made this special was when he came by the dock to pick up his friend Danziekel. Danziekel hopped into the front of the boat and Jahvin sailed off. This time Jahvin was driving the boat, this time Jahvin was the role model. A huge thanks to all the Bow sailing instructors that joined us throughout the week: Sean Hennessy for manning the laser and bringing a really positive flare to the program; Elizabeth Nurse for her constant encouragement and care for the sailors; Danny Petrovic for his selflessness and genuine connections with all involved; and Alec Anderson, a three-time college All-American and one of my oldest/closest friends for bringing the technical skill and pushing the top squad all the way up to Sandy Spit. Thank you to JVDPS and Susan Zaluski for bringing us to your home and all of the behind the scenes logistical work to make this happen. 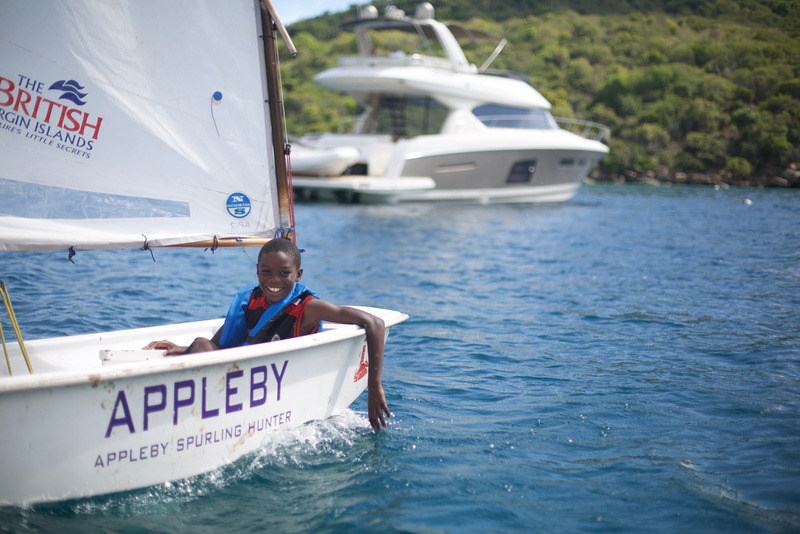 Foxy’s for room and board, and Foxy’s Taboo for the sailing venue, meals and total support. Thank you to Nora and Duane for the much needed extra counselors during the week. 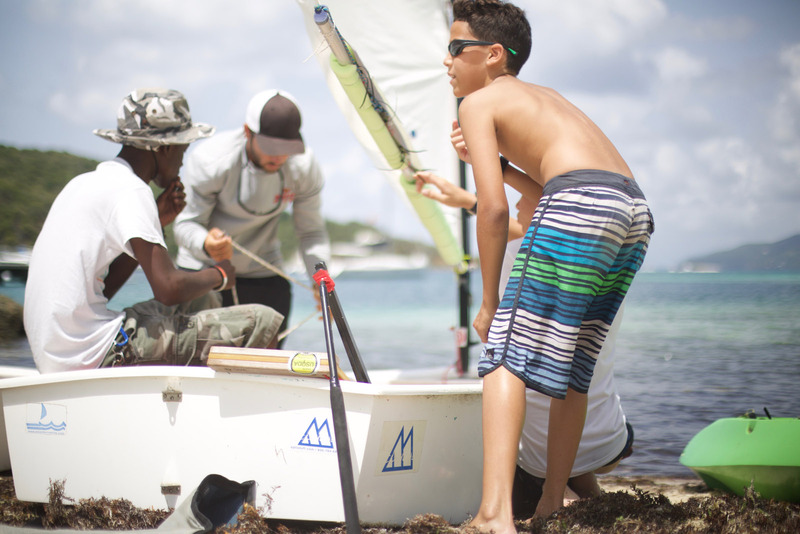 Lastly, a massive thank you to Joyce Mckenzie and VI Performance Sailing for lending all of the opti sails, spars, and blades without which none of this would have been possible. This camp was an absolutely brilliant example of what’s possible when many parties come together to support a singular mission. 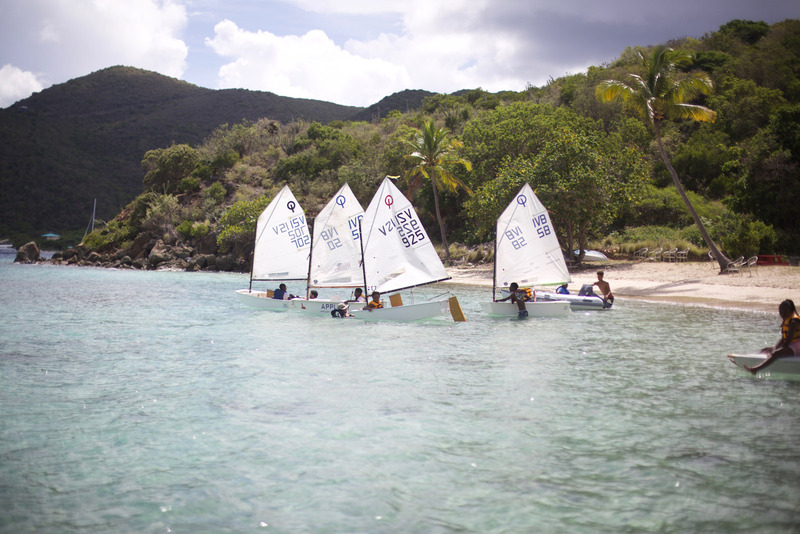 We greatly look forward to our next journey on Jost and possibly taking some of these sailors to a regatta soon! 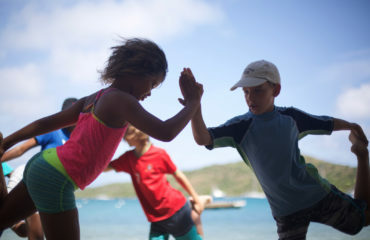 For now, we are onto our tour in St. Vincent and the Grenadines. 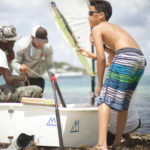 Make sure to follow the fun at Facebook.com/bowsailing and Instagram.com/bowsailing and expect to hear from us again here next week. 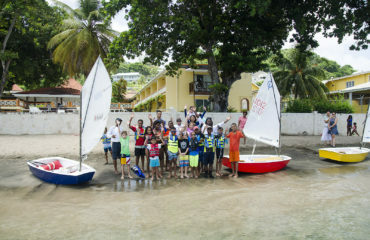 Bow Sailing is a Non-Profit Organization. All rights reserved.